The Limbrant ensemble was founded out of a small core of musicians and took shape from 2003 onwards. 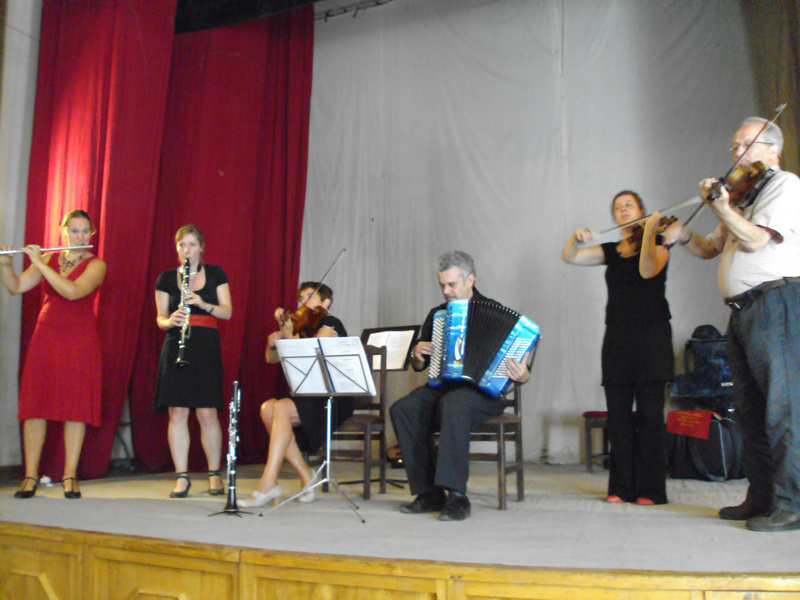 At present, the ensemble exists of six musicians. The group has specialized in the traditional Flemish –and by extension, Belgian– folk music, a choice that is highly valued both home and abroad. In this respect Limbrant distinguishes itself from most other folk groups who play folk music from all over Europe and consciously mix all sorts of styles. Limbrant has played many concerts in Flanders and the Belgian Walloon provinces, and has more than once been invited to festivals abroad, amongst others in Saint-Chartier (France), the Festival Internazionale della Zampogna in Scapoli (Italy), the Balkan Youth Festival in Gabrovo (Bulgaria), the Slavianskiï Bazar festival in Vitebsk (Belarus), the Domažlice and Strakonice festivals (Czechia), and Saltoluokta in Lapland (Sweden). The ensemble has toured in Armenia and in the republics Chuvashia and Mari-El in the Russian Federation. Furthermore, Limbrant has given a concert for the Dutch radio NPRO, for Radio France in Paris, and in the New York Thalia Theatre for the World Music Institute. In 2009, at the invitation of the Wiener Konzerthausgesellschaft, Limbrant played a concert in the Mozart Hall in Vienna, which was another highlight. Limbrant’s programme is representative of the traditional Flemish and Belgian folk music and contains a number of contradances which originated in Belgium in the second half of the 18th other dance types such as the waltz, the polka, the mazurka, the varsovienne, the kadril and the scottisch. These dances all originated in different places in Europe but underwent a real metamorphosis in the Flemish provinces throughout the 19th 20th century under the influence of older regional dance forms. Characteristic of this dance repertory is its structure, viz. a traditional sequence of themes and modulations and ever- present dynamics. Furthermore, Limbrant’s repertory also contains a number of typical union dances with age-old melodies. A large portion of the repertory was written down by Hubert Boone, founder of the ensemble. During many years he has been out ‘in the field’ looking for original examples of the Belgian musical heritage. Group members: Katia Verheyen (flute and chair of the non-profit organization Limbrant),Veerle Houdart (clarinet and musical direction), Greet Verhulst (contrabass), Andries Boone (mandolin and violin), Patrick Janssens (chromatic accordion) and Hubert Boone (violin and Flemish bagpipes).